The video recording of the stage show "Io dico l'Universo – Letture galileiane", interpreted by the actor Giulio Scarpati and explained by the scientist Alessandro Bettini, under the direction of Lorenzo Mucci, is now available for download. 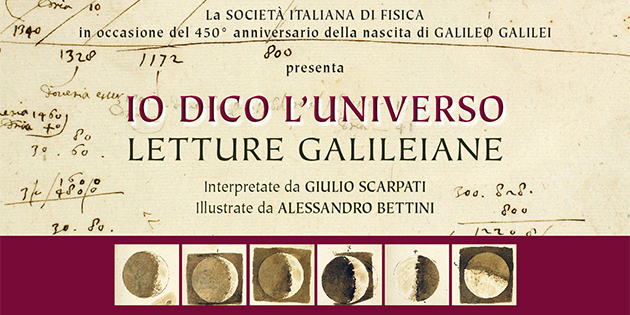 This performance was put on stage at Teatro Verdi, Pisa, on 23 September 2014 to celebrate two significant and concomitant events such as the 450th anniversary of Galileo Galilei's birth and the 100th National Congress of the Italian Physical Society. The video is available at this link (MPEG4 format, 780 Mb).